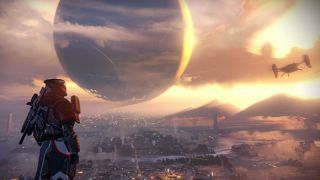 Are Destiny players happier than those who play Fallout? Identifying with a specific online community makes gamers happier, according to the results of a study presented at the Annual Conference of the British Psychology Society. In the study, researchers spoke to 349 Football Manager players - a group that was 98.9 percent male, and with an average age of 24. They were asked questions about their social identity as gamers, the quality of their friendships with other players, their self-esteem and their psychological well-being. The results showed that players who considered themselves part of a specific online gaming community were more likely to report a greater psychological well-being. In short, they were happier. Linda Kaye, the author of the study, said: "Digital gaming research has largely focused on the negative outcomes of the activity and somewhat neglected the wider positive impacts. This study demonstrates the positive impact that gamers can experience by being part of a wider social group, and how games serve a positive function and platform for these experiences." She added: "This research highlights the potential for social identity theory to further explore psychosocial well-being. Specifically in relation to digital gaming experiences, these findings suggest developing this as a framework for further theoretical and empirical understanding of the outcomes of digital gaming." So are Destiny or Dota2 players always happier than those who opt for more solitary experience? Considering that the study wasn't huge, it's difficult to generalise - but further exploration could reveal some interesting truths.